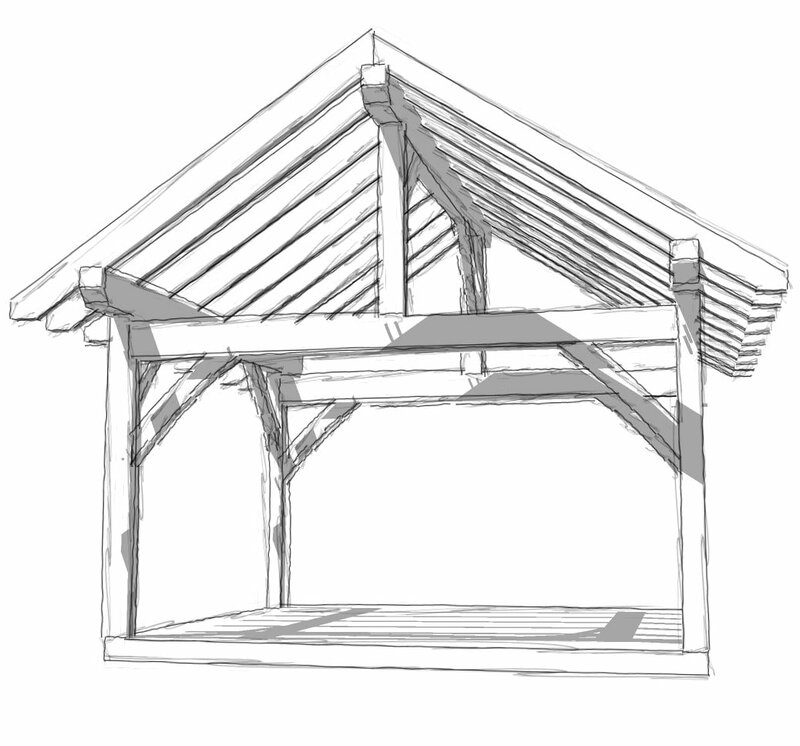 Adding a couple of feet to the dimensions of our popular DIY 16×12 plan, this 16 wide x 14 deep timber frame plan is the perfect size for a gracious front entry or an inviting canopy for a patio or deck. 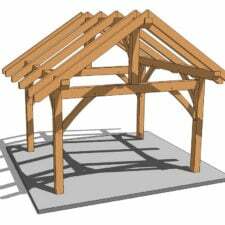 The rectangular size is at home as a shed or workshop, and the 8/12 roofline is attractive and simple to construct. 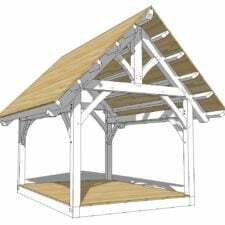 While the plan has an 8″ roof pitch by default we have added the dimensions for 3, 4, 5, 6, 7, 9, 10, 11, 12-inch roof pitches to allow you the option to choose. 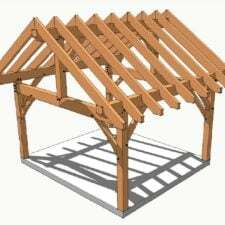 This instantly downloadable PDF package consists of 21 pages of drawings, materials lists, and renderings, making this a fantastic project for any DIY craftsman who wants to learn about timber frame construction techniques from the ground up. 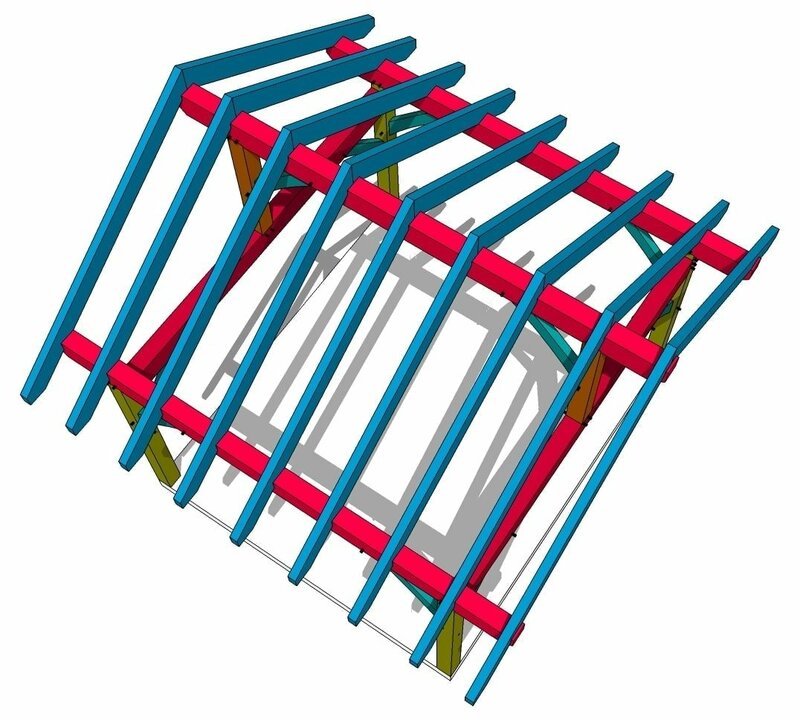 Whether you’re building a patio cover or additional space for yard equipment storage, this design is simple for beginners and goes together with ease. 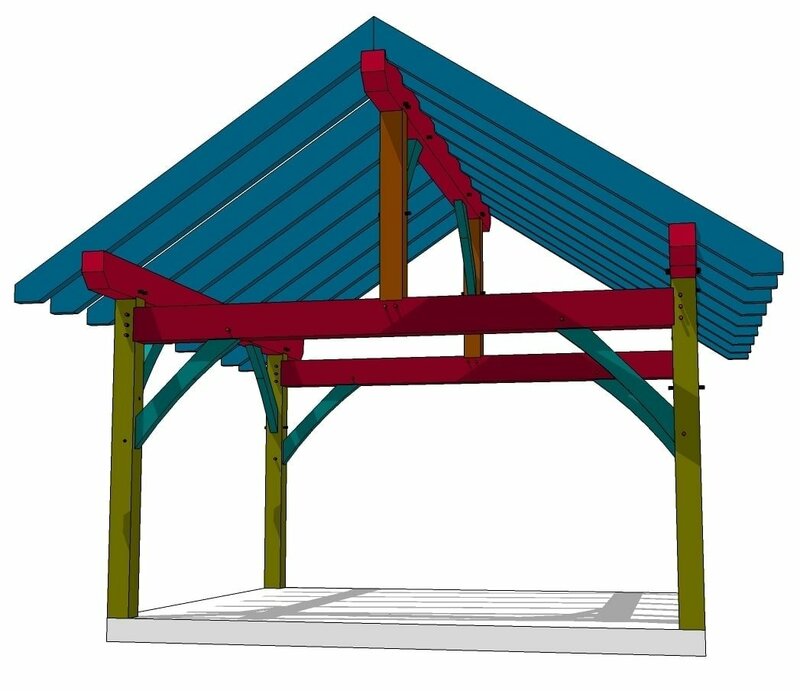 Build this timber frame design on a concrete base or build a flooring system to create the base for an enclosed structure. Add windows, a door and walls for a simple shed. 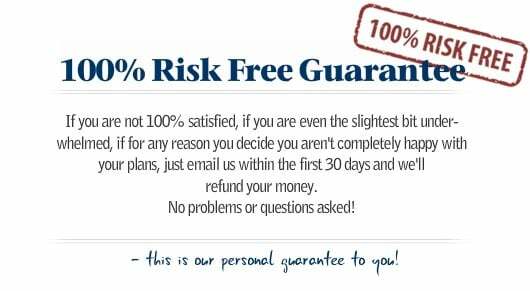 You can create a potting shed, craft studio or private getaway with this attractive package. The 8/12 roofline has a generous overhang on all sides, which adds an attractive architectural feature to the building. 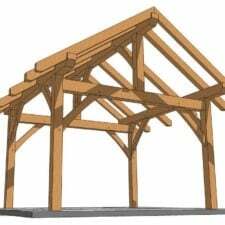 The king posts on each end of the structure reinforces the sturdy, good looks of timber frame construction and the diagonal reinforcing members add stability as well as a rustic, handcrafted look.